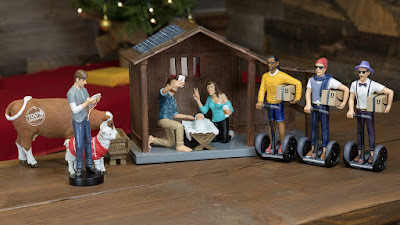 This is a fun contemporary example of the visual reception history of the Nativity. If you're leading any discussions in the classroom or the church on the birth of Jesus this Advent season, I suspect this could create some interesting discussion. A short bibliography from the Glencairn Museum. "The Nativity in Art" at Bible Odyssey, by Robin M. Jensen. The Nativity, by Jeremy Wood. Illuminating Luke: The Infancy Narrative in Italian Renaissance Painting, by Heidi J. Hornik and Mikeal Carl Parsons. Who Staged the First Nativity Scene? by L.V. Anderson. nashville escorts Have a great day!